What are they, how do they affect you, and how can you best implement them? 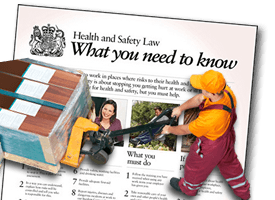 Employers have a legal obligation under the MHOR to make a sufficient and suitable assessment of the risk to employees from the manual handling of loads. The Manual Handling Operations Regulations require an employer to carry out a risk assessment on all manual handling tasks that pose an injury risk. Employees have a duty to take reasonable care of their own health and safety and that of others who may be affected by their actions. They must communicate with their employers so that they too are able to meet their health and safety duties. …any transporting or supporting of a load* (including the lifting, putting down, pushing, pulling, carrying or moving thereof) by hand or bodily force. *The load can be an object, person or animal. The employer’s duty is to avoid Manual Handling as far as reasonably practicable if there is a possibility of injury. If this cannot be done then they must reduce the risk of injury as far as reasonably practicable. If an employee is complaining of discomfort, any changes to work to avoid or reduce manual handling must be monitored to check they are having a positive effect. However, if they are not working satisfactorily, alternatives must be considered. third: reduce the risk of injury so far as is reasonably practicable. The guidance on the Manual Handling Regulations includes a risk assessment filter and checklist to help employers assess manual handling tasks. A revised version of the MHOR was published in March 2004. It also includes a checklist to help you assess the risk(s) posed by workplace pushing & pulling activities. Employees have duties to take reasonable care of their own health and safety and that of others who may be affected by their actions. They must communicate with their employers so that they too are able to meet their health and safety duties. Where can I review the Regulations in full? The Regulations can be downloaded free of charge as a free PDF document (L23) from the Health and Safety Executive. The Regulations can be purchased in printed form from the Health and Safety Executive. The printed publication was last revised in 2004 (ISBN: 9780717628230), and is currently priced at £8.95 on the HSE website. How can I ensure that my business is compliant with the Manual Handling Operations Regulations? Follow the guidance contained within the Regulations. Ensure that you have up-to-date and concise Risk Assessment plans in place for all the manual handling tasks that your employees undertake. Ensure that adequate and frequent training and refresher training for your employees is provided. If you have your own Manual Handling Instructors, then you must ensure that your instructor training & refresher commitments are being met.